This is the first in a series of articles about modern filmmakers (started in the ’80s or later) who could be considered auteurs. Auteur: noun. A filmmaker, usually a director, who exercises creative control over his or her works and has a strong personal style. The reigning king of hipster films. Wesley Wales Anderson, a Houston native, coolly sauntered into the film world (in slow motion, of course) with 1996’s Bottle Rocket. Since then, he has been making films that are both beloved and derided. To some, his films are brilliant, dryly comedic, and poignant. To others, they’re merely ironic, hipster quirk-fests, with little to offer beyond surface appeal. Whichever side of the fence you fall on, however, you can’t deny that the man has style. 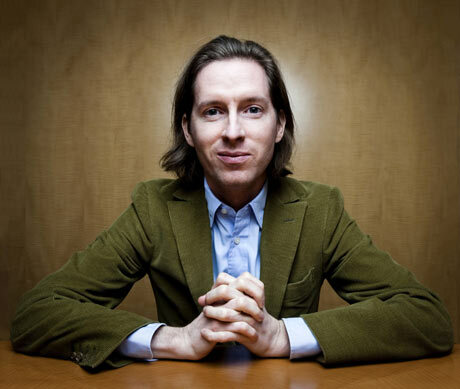 Anyone familiar with Wes Anderson can pick out one of his films within about 5 seconds. This makes him the very definition of an auteur. Anderson is very, very detail oriented. Meticulous doesn’t begin to describe his visual style. Everything from his stage play-like camera framing down to the colour, font, and card stock of a notepad, are painstakingly fussed over by Anderson. The sheer amount of control he wields over his mise-en-scène is incredible, and it makes for a truly unique viewing experience. His very symmetrical shots are carefully blocked out and utilize deep focus. He contrasts these wide shots with personal, straight-on, closeups of characters faces. Thrown into the mix are zooms (rare these days) and the obligatory ramping shot (quick change from regular speed to slow-mo) of characters walking towards the camera. His colours are often primary or warmly autumn. And accompanying all these lovely visuals is usually a soundtrack heavy on ’60s music. 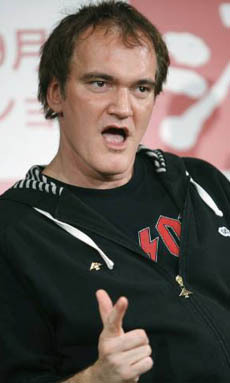 Most people can get on board with Anderson’s visuals, but when it comes to his stories, and the acting style he promotes, audiences become a bit more divided. His screenplays often involve dysfunctional, upper-class families – and there is almost always father figure issues. These stories always weave together a mixture of dry humour and understated drama, and are acted out in a muted style usually by a stable of actors that Anderson uses regularly. It’s this muted acting style and dry humour that can be off-putting to some, and, if you don’t get into it, you will be at a loss for as to why so many people love his films. I do love his films, and find them to be quite hilarious, but I can see why people don’t jive to his style. If you haven’t seen a Wes Anderson film, there’s only one way to find out whether or not you’ll like them. The Royal Tenenbaums (2001) – Starring Gene Hackman, Anjelica Huston, Luke and Owen Wilson, Ben Stiller, Gwyneth Paltrow, Bill Murray, Danny Glover, and narrated by Alec Baldwin. Probably the best place to start for someone to looking to get into Wes Anderson. This could be considered his most mature film. The screenplay, by Anderson and Owen Wilson, was nominated for an Oscar. Rushmore (1998) – Starring Jason Schwartzman, Bill Murray, and Olivia Williams. Anderson’s sophomore effort about a rivalry between a precocious teenager and a middle aged businessman over a school teacher. One of the more purely comedic films by Anderson. Bill Murray’s deadpan performance is absolutely hilarious. Fantastic Mr. Fox (2009) – Starring the voices of George Clooney, Meryl Streep, and Bill Murray. Anderson’s first, and only (so far), foray into “family films”. The quotations are there, because I’m not quite sure how kids will really take to this movie. However, it’s a pure gem for anyone interested in seeing a finely crafted, and amusing, film. The stop motion work alone is worth the watch. The Darjeeling Limited (2007) – Starring Owen Wilson, Adrien Brody, and Jason Schwartzman as brothers on a spiritual quest across India in the wake of their father’s death. Maybe Anderson’s weakest effort, but still not without merit. Just don’t start here. The Life Aquatic with Steve Zissou (2004) – Starring Bill Murray, Owen Wilson, Cate Blanchett, Anjelica Huston, and Willem Dafoe. A fan favourite, but not for anyone. Bill Murray’s aging oceanographer is absolutely hilarious, as is the rest of the cast. A personal favourite of mine.